*** Deadline for this challenge will be on Wed, February 16th! ***Use either "Just Because" OR "Wild Card" cartridge for this challenge*** Create a Card of your choice MUST include a "Stamped Sentiment"! Here is my video on how I created my card! I hope you enjoy it! Now onto my card along w/my AWESOME Design Team's cards! 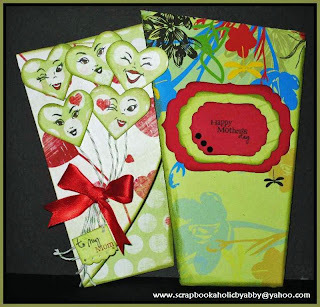 This 1st one is mine & I am featuring my brand new set called "Paper Princess" stamp set! 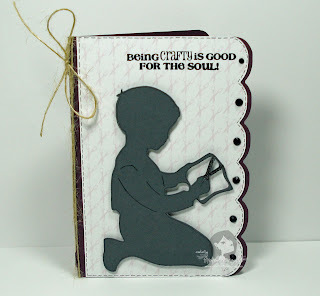 Here is Nikki's card & she is featuring "Color Me Happy" stamp set! Here is Abby's card set & she is featuring "Mom You Rock" stamp set! Here is Vicky's card & she is featuring "I Believe in Leprechauns" stamp set! 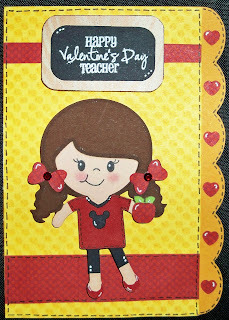 Here is Glora's card & she is featuring "You Had Me At Chocolate" stamp set! Now, random.org chose ONE lucky winner to recieve my NEWEST Stamp set called "Paper Princess"!!! Congrats to Jeanne Siegel!!!! Click on her name to see her "Winning" card! Jeanne, make sure you email me your addy so I can get your prize out to you! ;) Have a FABULOUS day & I will see you back here for another CHA post!! You DON'T want to miss it! ;) You can go HERE to see my 1st CHA post! Congrats to Jeanne and yes Emma, your DT rocks! Precious cards, everybody! Emma, you are making me really excited for that stamp set!!! Beautiful projects!!! Love the new stamps! YAY! Thank you Emma!! I just got my first set of your stamps the beginning of the week! Can't wait to use them! your design team does amazing work. Can't wait to get my stamps in the mail I ordered. Cute cards! Your design team is doing an awesome job! Hope your son gets to feeling better! Awesome card Emma! Tanks for another great challenge! Love your card Emma! and the DT rocked it as well...Love your new sets. great cards..I hope to try an enter this challenge. Gorgeous projects ladies!!! I just entered my card. I love all of the inspiration! Great projects everyone! Each card has something insipiring and new. Thank you for sharing. Great work! Wow... you and DT did a fabulous job! I am definately feeling inspired!! What cute cards Emma. I love that child on the card that you made. You have a talented Design Team. All of their projects are great. Thanks to all of you for sharing. 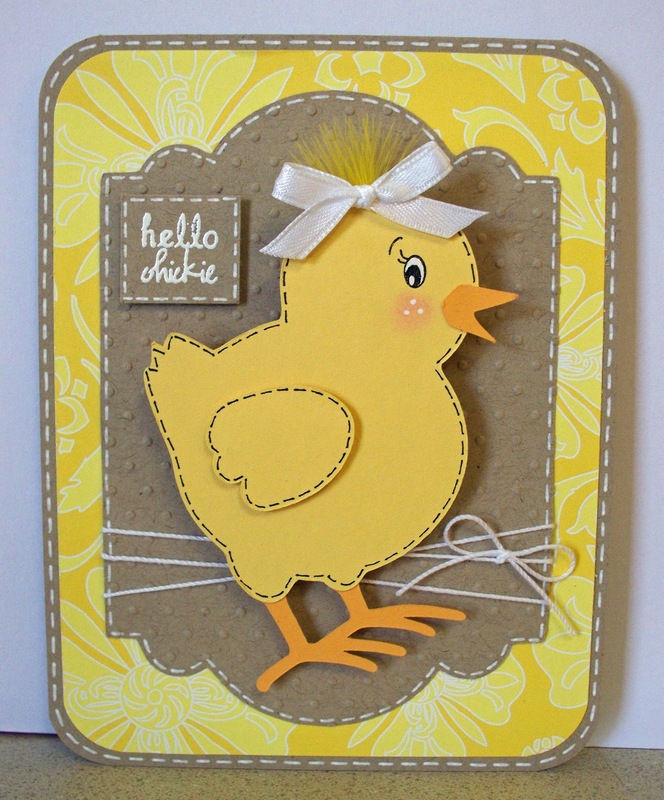 What an adorable card, Emma, I love the sweet image and your stamp goes perfectly with it. Love your DT's cards too! Congrats to the winner, that's awesome. Emma, your card is adorable. You and your designers ROCK. Great creations everyone. I decided to use the "Just Beacause" Cards cartridge since I have not used it in a long time. Ur DT is awesome!!! love the lil guy on ur card emma!!! I am glad your Throwback Thursday challenges are back. You get me to use carts I have and either never used or only used once. This was fun. I love the cards everyone made. The St. Patty's mug "head" is awesome! I love the embossing. The team did an awesome job. Thanks for sharing your ideas. Wow some fantastic work! You all did an Awesome job! Love your card Emma!My little boy made is card with me.We had fun making it. Love all the cards and thanks for the inspiration. I was able to finally get my Daughters BD card done, Feb 9th is fast approaching. I love your challenges, and I hope to win LOL because I don't have stamps, that's new for me!! I love your cards you such a creative lady. I had a lot of fun with this! thanks for the challenge! These cards are too cute! Thanks for letting us play along. I am having so much fun, thanks! This was a fun and got to use an old Cartridge which is always good. Can't forget them. Thanks for a fun afternoon. Thanks, my first time using my new cartridge! Heres my comment for after linking up. I say this little dog started out really ugly but i think he ended up looking quite dashing for a little dog. This is my first challenge with you and I really enjoyed it. Your DT is wonderful, gives me so many ideas. Your DT rocked it again!! They so rock!! Love what they all did!! You all did a great JOB. Thanks for the great Challenge. Awesome Projects!!! LOVE your stamps....they are on my must buy list! Of course, I would love to win some as well. LOL! thanks for another challenge.your dt is great. Your Design Team did an AWESOME job!!!!!!!!! Great cards! Thanks for the challenge. Beautiful cards everyone! And Miss Emma, love your stamps and your projects! I am loving these cards they are so cute, this is my first challange I have ever done I am so excited! I love the projects you and your design team came up with. Great job! Excellent inspiration, people! I've really enjoyed all of your projects! Love all of the card's....Great job!! This was a fun challenge. I made these treat bags for my kids for Valentine's Day. Thanks for the challenge. Love Nikki's little chick...especially the feathers on top! Very cute. Emma, you and your DT created such amazing cards ~ awesome inspiration!! Thanks for another great challenge. I love your stamps. Find myself reaching for them often. this was my first challenge with you, luv your work, and I had fun with creating this card. Can't wait to see the next challenge. Fun projects! I'm glad to finally be back joining your throwback thursday challenges again. Love all of the cards...the DT is awesome!! Fun challenge made me really look at those cartridges. Your new DT rocks, thanks for another fun Challenge! Hi Emma..Wow 2wks in a row that I've entered, I'm soo happy that I've been able to play along. Hope you like my project! Thanks for the fun challenge... for some reason it was hard for me too!! Love this challenge (it's so good to be back doing your challenges... woohoo!). I always enjoy trying to find new ways to use the cool card shapes on Wild Card. Thanks for keeping me on my toes! Awesome job DT! Thanks for the great challenge. I had so much fun participating! Thanks for the challenge. I participated.